This painting is pART of a series called "Elemental Alchemist," which shows the connection between woman and the various elements. This woman clearly represents/is earth. 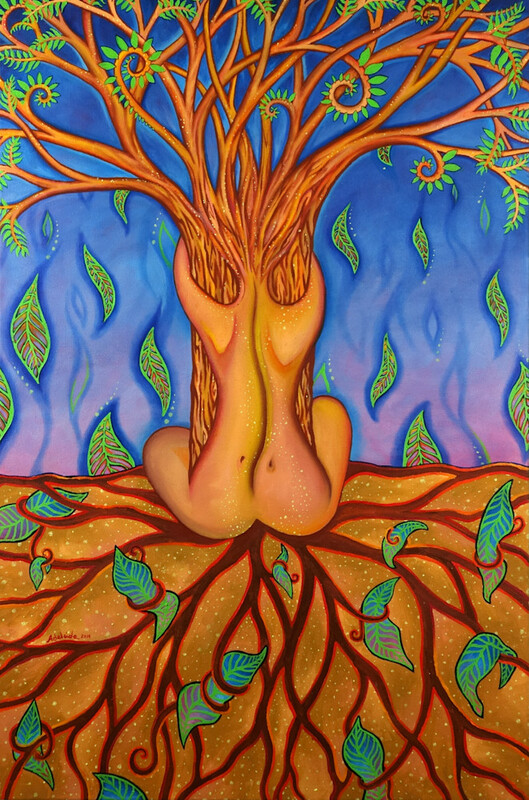 By rooting down she is able to grow and branch out like a tree. Read poem below of more inspiring insight.